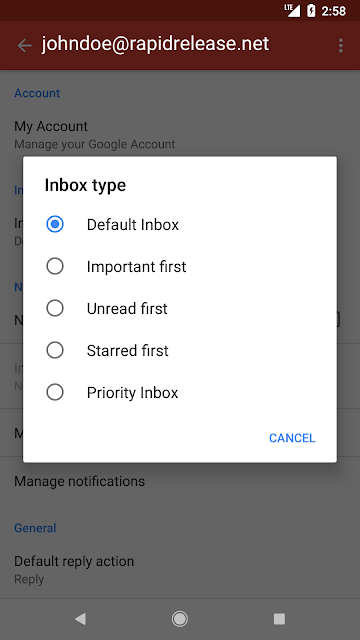 for sorting their inboxes, including unread first, important first, starred first, and priority inbox. Because many of you rely on your phones for email, we’re now bringing these same options to the Gmail app for Android. 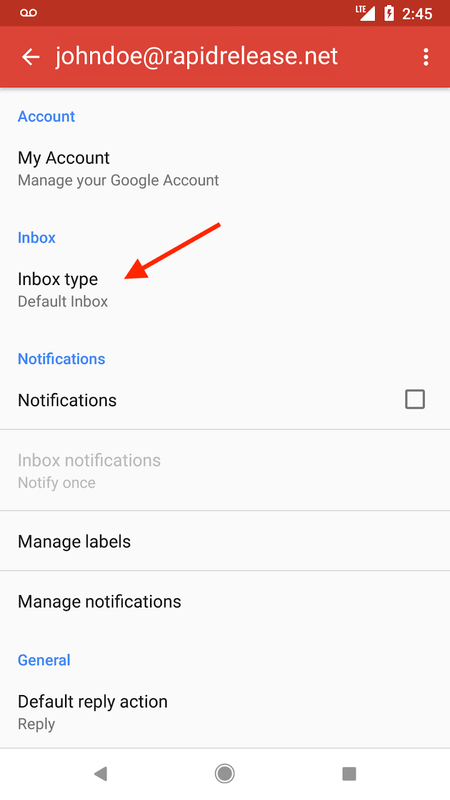 Going forward, if you’ve selected a specific inbox type for your Gmail account on the web, you’ll see that same email configuration in your Android app. For instance, if you’ve chosen to see unread emails at the top of your inbox and everything else below, you’ll see your emails sorted the same way in Gmail for Android. 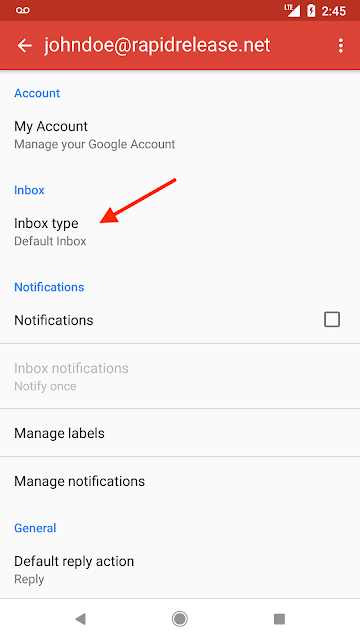 You’ll also be able to change your inbox type directly from the Gmail app on your Android phone (under Settings > Inbox type). This inbox type will then be reflected across web and iOS as well. We hope this helps you stay on top of your email—no matter where (and on what device) you read it. We can all use a little help organizing our email. 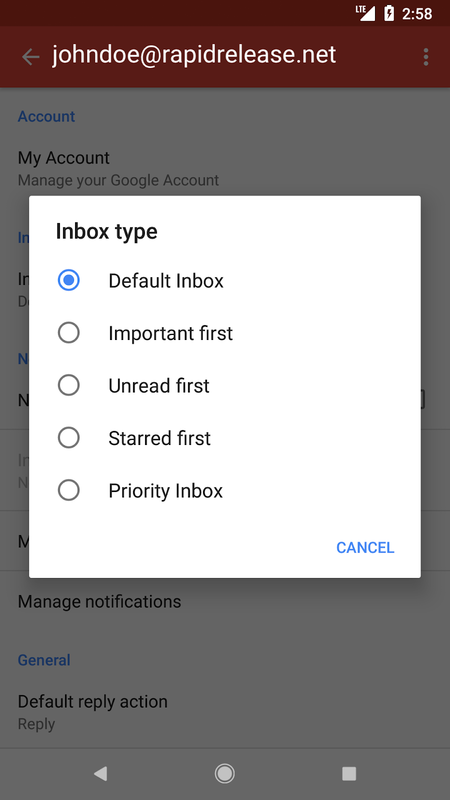 Gmail makes it easy, offering web and iOS users various options for sorting their inboxes, including unread first, important first, starred first, and priority inbox. Because many of you rely on your phones for email, we’re now bringing these same options to the Gmail app for Android.